Faith Mitchell earned her Doctorate in Medical Anthropology in 1980 from the University of California, Berkeley. She is the President and CEO at Grantmakers In Health. Formerly, Mitchell was a senior staff member of the National Academy of Sciences in Washington, DC, the Senior Coordinator for Population in the Bureau of Population, Refugees, and Migration in the US State Department, and a program officer at the Hewlett and San Francisco foundations. I blog and tweet (@GIHealth_CEO) on health-related topics. 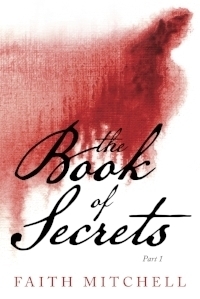 And I have published a new book based on the history and customs of the South Carolina Low Country: The Book of Secrets, Part 1. My first trip to the South Carolina Sea Islands was life changing. I was an undergraduate anthropology major at the University of Michigan and excited about the opportunity to learn more about southern black culture. When I got to the Sea Islands I was moved by the beauty and shocked by the poverty; at that time, very few people on Wadmalaw Island, where I lived, had telephones, cars, or even running water. I was stunned to come upon backwoods settlements that had changed very little in decades. I was most deeply affected by the rich, fertile beauty of the Islands and by the strength and integrity of the families I met—natural wealth that belied the widespread material poverty. I soon discovered that the Sea Islands were as abundant in folk culture—ghost stories, animal tales, the Gullah language itself—as they were in animal and plant life. However, the islands were already in transition, and it was clear that the Gullah culture was under threat. These first experiences among the Gullah people led me to a lifelong interest in African American history and culture, and a commitment to health and social issues.